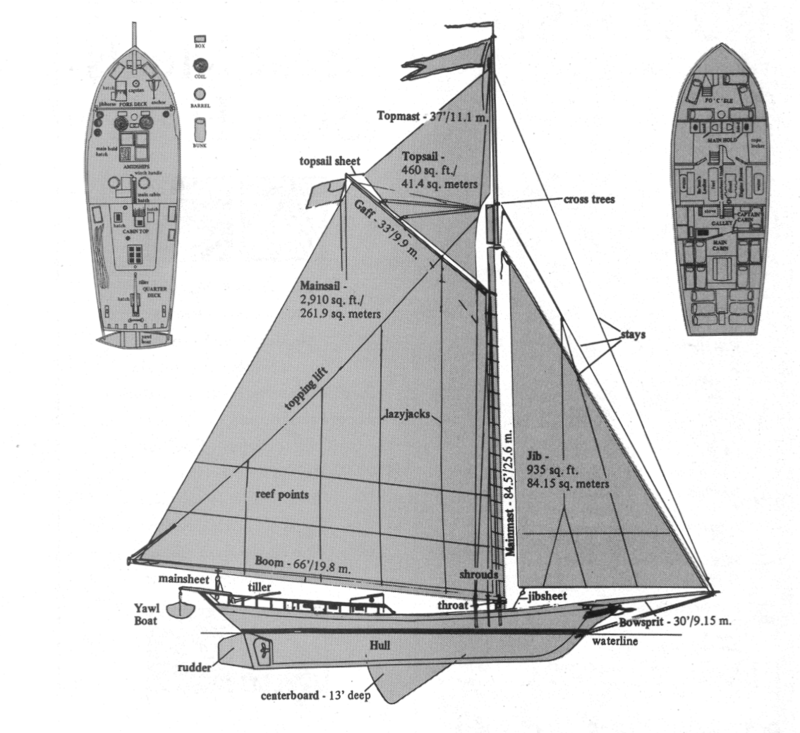 The sloop Clearwater, a replica vessel modeled after the Dutch vessels that sailed the Hudson River in the 18th and 19th centuries, was launched on May 17, 1969 from Harvey Gamage Shipyard in South Bristol, Maine. Those early cargo vessels were specially designed for the variable winds, currents and depths of the Hudson. Sailing from town to town today, the Clearwater models her course after that of the historic Dutch sloops. Their cargoes and crews were the main communication link between riverfront towns and outlying areas which now house one-tenth of this nation’s population. Clearwater continues that tradition as a vital link between communities and carries a message to the people who sail on her and see her iconic broad sails from the shore about the beauty and wealth of our region’s waterways – and the everlasting need to protect, preserve and celebrate them.